Raif Badawi campaign poster; photo of Waleed Abu Al-Khair, from Al-Khair's Twitter account. In Saudi Arabia, the crackdown against online activists has risen to extremely worrying levels in recent months. Human rights defenders face threats and harassment, smear campaigns in the media, arbitrary detention, illegal imprisonment, torture and ill-treatment, and fabricated judicial proceedings. The Gulf Center for Human Rights is working to raise awareness about the following recent arbitrary legal measures taken against online activists in Saudi Arabia. Saudi Arabia is one of the few remaining absolute monarchies in the world and has a deeply concerning human rights record. The country's first criminal procedure code was introduced in 2001. After King Abdullah took the throne in 2005, a series of new laws were passed and implemented including the Anti-Cyber Crime Law and the Terror Crimes Act, both of which are now being used to target human rights defenders and online activists. On July 6, 2014, the Special Criminal Court in Jeddah sentenced prominent human rights lawyer Waleed Abu Al-Khair to 15 years in prison, with five years’ probation and a 15-year travel ban as well as a fine of 200,000 Saudi riyals (approximately US $53,300). He is founder and director of the organisation Monitor of Human Rights in Saudi Arabia (MHRSA) and has an active Twitter account (@WaleedAbulkhair) with over 76,000 followers. In his initial hearing, authorities were ordered to shut down Waleed Abu Al-Khair’s websites and email accounts pursuant to article XIII of the legislation. Fortunately, this has not been carried out since his sentencing. An experienced journalist, Iman Al-Qahtani worked at several newspapers in Riyadh. She has also written for the Guardian newspaper and attended the trial of the leaders of the Association of Civil and Political Rights (ACPRA). She has reported extensively on human rights activists in detention and has expressed solidarity with their families. With over 73,000 followers on Twitter, she actively reported on human rights abuses and related stories in Saudi Arabia. Security forces threatened to harm her family members, including her mother, if she did not stop her human rights activities. Facing continuous harassment by authorities, Al-Qahtani stopped reporting online. She closed her account, hid her previous posts, and moved away from the public spotlight. Yet Saudi authorities continue to target her. On July 19, 2013, she was stopped by authorities at the Dammam airport and prevented from traveling to Istanbul. 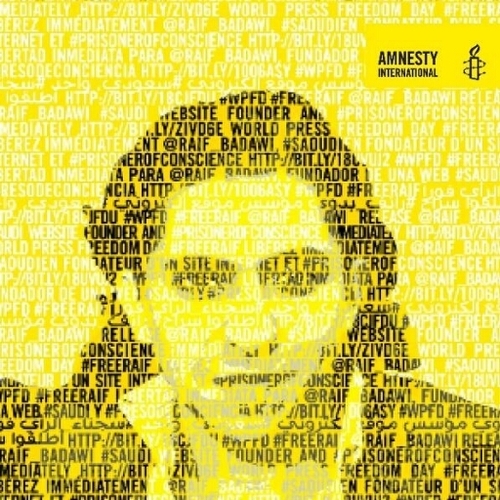 Raif Badawi is a human rights defender and the editor of “The Liberal Saudi Network,” a website he launched with fellow human rights activists including Suad Al-Shammari that sought to foster political and social debate in Saudi Arabia. On July 29, 2013, the District Court in Jeddah had sentenced him to 7 years and 3 months imprisonment in addition to 600 lashes and ordered that the website be shut down. Among other allegations, Badawi was charged with setting up a website that had the word “liberal” in its name. 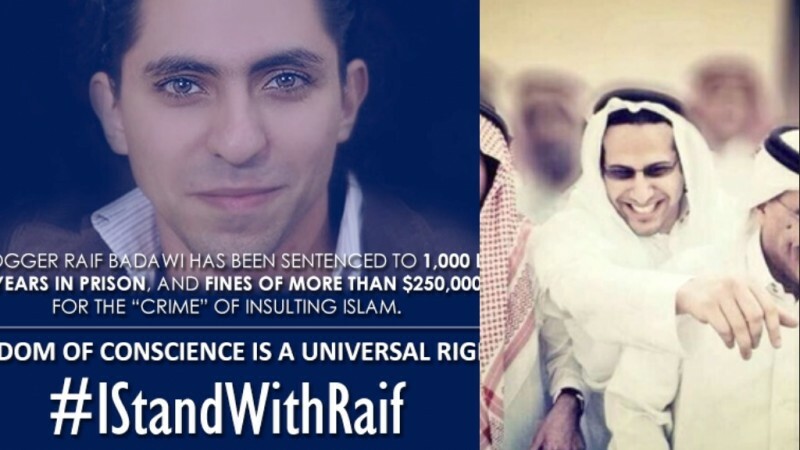 On 7 May 2014, an appellate court re-sentenced Badawi to 10 years imprisonment, 1000 lashes, and a fine of one million Saudi riyals (US $266,600). Mohammed Al-Qahatani, a lawyer and co-founder of the Saudi Association for Civil and Political Rights (ACPRA), is currently serving a 10-year jail term to be followed by a 10-year travel ban. The UN has demanded that charges against him be dropped and that he be released. Human rights defender and scholar Dr. Abdullah Al-Hamid, also a co-founder of ACRPA and the Legitimate Rights Defense Committee, has been arrested and jailed on multiple occasions for his human rights work. In 2004, he was imprisoned and released two years later on clemency. In 2008, he served a six-month sentence in connection with his work. In March 2013, Al-Hamid was sentenced at the Criminal Court in Riyadh to a total of 11 years in prison — five years based on 12 charges including allegedly “refusing to submit to the will of the king”, “incitement” and “communicating with foreign entities” and another six years for an outstanding sentence from 2004 from which he was technically pardoned. A travel ban of 11 years, to take effect upon his release, was also imposed. The charge of “communicating with foreign entities” refers, at least in part, to his engagement with the UN. In one particular hearing the presiding judge in the Criminal Court in Riyadh specifically accused him of informing the international community that there are 30,000 detainees in Saudi Arabia. In detention he has been subjected to continuous harassment. He began a hunger strike on July 25, 2013 after which he was placed in solitary confinement. He has been denied access to his lawyer and was told by authorities that he must change lawyers. On April 17, 2014, the Specialized Criminal Court in Riyadh sentenced human rights defender and blogger Fadhel Al-Manasef to 15 years in jail, a 15-year travel ban to begin after his sentence, and a fine of 100,000 riyals (US $26,700) pursuant to Saudi Arabia's Anti-Cyber Crime Law. Al-Manasef's lawyer reported that the sentencing was based on charges related to incitement and participation in protests, writing articles against state security and publishing them online, signing an anti-government petition and contacting foreign media outlets without authorization and taking reporters to protests and giving them harmful information concerning the Kingdom. He denies that he has committed any crime and is reportedly planning to appeal the verdict and sentence. He has been arrested in the past as a result of his human rights work. Human rights defender and journalist Mikhlif Al-Shammari was also targeted as a result of his online and human rights activities. He faces charges that include communicating with suspicious organisations and attempting to discredit the Kingdom of Saudi Arabia in the eyes of internal and external public opinion. These are represent only a handful of activists and online speakers under threat within the Kingdom of Saudi Arabia. Hundreds of other bloggers and activists who have used various social media websites to express their views have been imprisoned as a result. Some are kept in prison for years without any trial or knowing exactly the nature of the charges directed against them. Human rights defenders and online activists reportedly are being detained together with convicted criminals in Beriman, Dhahban, Sha'ar, Al-Tarfiyah, Ulaysha and Al-Hayer prisons. The prisons are overcrowded and imprisoned human rights defenders complain of limited sleeping and living space, poor conditions of food, inadequate medical care, and other concerns of sanitation in the prison. Despite the grave situation, the response from the international community and intergovernmental bodies such as the United Nations has been extremely disappointing. Little support has been given to protect human rights defenders and online activists in Saudi Arabia. The Gulf Center for Human Rights urges supporters to demand the attention of the UN Special Rapporteur on the promotion and protection of the right to freedom of opinion and expression, Mr. Frank La Rue, along with government leaders in the Kingdom of Saudi Arabia. Visit the Gulf Center action page to learn how you can support this work.